I’m a big fan of this lovely author’s YA books, mainly because her leading ladies are plucky, adventurous and perfectly adorkable. She also has a knack for weaving puzzling mysteries filled with red herrings, shady suspects and even a dash of romance. So you can imagine my delight when she offered me an advance copy of her very first adult cozy mystery! #Blogperks! Let me begin by stating that The Lucky Paws Petsitting mystery series is off to a great start. It has everything I need in a cozy mystery: Doggie sidekicks, a feisty animal-loving sleuth and a handsome detective with a mysterious past. Aside from all the essential ingredients, I really love that this book isn’t filled with a bajillion suspects. Seriously, I have no qualms about chucking out a cozy mystery if the waters are muddied with too many characters. How am I supposed to be surprised if the murderer is just one of dozens of secondary characters? I ask you. Thankfully, this author didn’t have to rely on lazy-plotting tactics to deliver a surprise ending – and boy is it a doozy! It was easy sinking into this book and getting wrapped up in Daphne’s world, which basically revolves around dogs, pie and coffee. A girl after my own heart! 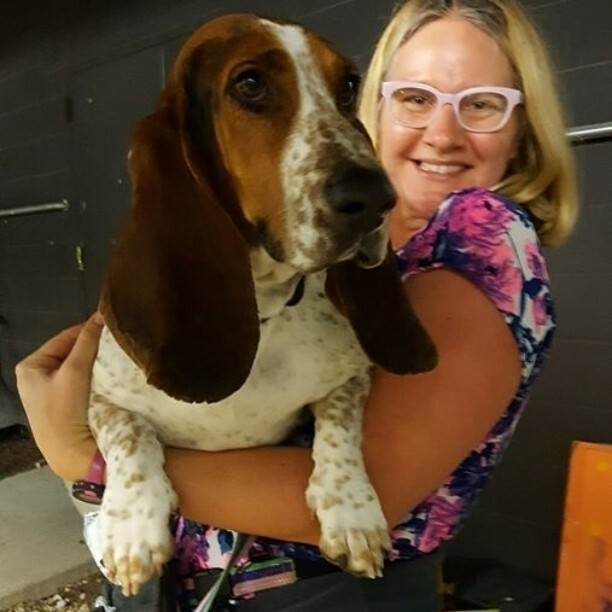 She’s living the single life with a stoic basset hound and a goofy little chiquahuah. They all live together in a cozy little cottage on her sister’s sprawling farm. Aside from their love of animals, she and her sister couldn’t be more different. Daphne’s a cowgirl boot-wearing free spirit, and Piper is a pragmatic veterinarian who wears sweater sets and pencil skirts. I could totally feel Daphne’s pain when she was roped into wearing toe-crunching pumps and a confining pencil skirt. Yeesh. Yet despite Piper’s straight-and-narrow ways, she somehow ended up becoming suspect No. 1 in the case of the murdered Cesar Millan-wannabe. Yes, he is her ex-boyfriend and was the last to see him alive. But that guy really got around and had plenty of other exes with ample motives for snuffing him out. Or maybe it was someone who didn’t appreciate his authoritative dog-training methods. A logical motive in my book. Dogs are not robots, people! The recently-adopted Buford T. Justice approves this post. There’s no doubting Piper is innocent, but the mounting evidence says otherwise. It’s up to our intrepid dog-toting sleuth to find out who’s railroading her sister before the killer strikes again! Otherwise that poor girl will have to trade in her cardigan sets for an orange jumpsuit. Come to think of it…I think I’d rather take the jumpsuit, but that’s just me. Dog lovers are sure to enjoy this fun little mystery. Unlike other dog-themed cozies with very little animal action, Daphne’s pups, Socrates and Artie, are given a lot of love throughout the book. The odd couple are constantly by her side as she tracks down clues. There’s also a slew of rottweilers that answer to Shakespearean commands and – of course – a prize-winning chocolate lab (swoon!) that went missing after the murder went down. I hope I convinced you all to read this book when it drops later this month. 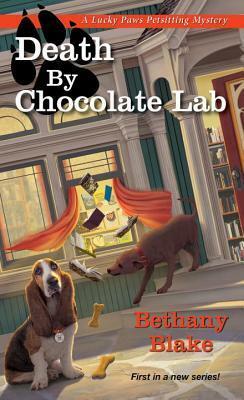 If you’re a dog-crazy mystery fan like me, I promise you’re going to love it!